The past week has proved to be rather fruitful as we have had five winners since our last update which has taken our total this year to 18 winners. The first was Stuart Stuckey’s odds on favourite, Vanity Queen, who did not need to improve on her debut form to win a maiden at Nottingham. She probably was not as impressive as we might have hoped, in terms of the bare margins, but she had to come from last in a steadily run race and ultimately looked to win with a bit in hand. She appeared to appreciate the step up to an extended mile and promises to stay at least a mile and a quarter next year. The aim now is to look at nurseries with her opening mark of 77. Fellow two year old Total Star, owned and bred by Fittocks Stud, was also odds on to get off the mark at the second time of asking at Beverley. Running over seven and a half furlongs he duly won by an easy five lengths under Danny Tudhope. We have always liked him and he could take up his entry in the Group 3 TCA Abu Dhabi Solario Stakes at Sandown on Saturday. Our third juvenile winner was Al Shaqab Racing’s Aljezeera (pictured) who made a winning debut over a mile at Doncaster last Saturday. We had mentioned in our last update that she had been showing promise on the gallops so it was nice to see her deliver at the first time of asking. Providing she is well and happy we may well look at the Group 2 May Hill Stakes at Doncaster on Thursday 9th September. The way Aljezeera found more in the closing stages suggests she will stay a mile and a quarter next year and probably a mile and a half. It was lovely to see The Dukes Of Devonshire and Roxburghe’s three year old Myopic make a belated wining return in a mile and quarter fillies maiden at Newbury last Friday. Her stamina rather came to the fore in what looked a gruelling race, but she seems to have come out of it in good spirits and we will now look to step her up in trip to a mile and a half. It was the third time in four years that we have won that specific maiden, Bonanza Creek in 2013 and Blue Waltz in 2014, but that was purely coincidence rather than being a hatched plan; we didn’t even realise until we read it in the paper the following day. Myopic has been handed an opening mark of 83, which looks slightly harsh, although there was always the danger that would happen with the third being rated 82. Our fifth winner was also making her first start for a long time, Fittocks Stud’s Materialistic, who was yet another odds on favourite to get the job done on her handicap debut at Windsor. She showed a good attitude to get on top in the final furlong and should have more to offer looking forward given her profile. Helena Springfield Limited’s Very Dashing improved on her maiden win to finish fourth in the Listed EBF Stallions Upavon Fillies’ Stakes at Salisbury. It was obviously frustrating that she could not grab third to gain some black type and, two furlongs out, it looked like she would finish placed. It is likely that she did not let herself down on the good to firm ground which is the fastest she has encountered so far. We hope that she has learnt something from that experience and, back on an easier surface, she can be competitive in similar races. Fittocks Stud’s Dubara was rather unfortunate to bump into one just too good in a fillies maiden at Kempton, with the pair drawing five lengths clear of the third. Dubara may not be very big but she is beautifully put together, and she is also very genuine, so it would be nice to win a race with her this season. She has been given a mark of 79 and we could look at switching her to nurseries now. It could well have been the return to the all-weather that saw Mrs Angie Silver’s Cryptic bounce back to form to finish second at Kempton although he also seems to have turned a corner at home since our horses have started running well again. He was perhaps a little bit unfortunate not to get closer to the winner as he lost momentum when being forced to switch over a furlong out (the winner had a smoother passage down outside) and hopefully he can win a similar race next time. Castle Down Racing and Partners’ Party Nights produced her best effort yet when stepped up to seven furlongs to finish third in a two year old maiden at Salisbury. We will now probably look at a mile nursery for her next time out with her opening mark of 67. On the same card, The Duke of Devonshire’s Bess of Hardwick progressed from her seasonal reappearance to finish fourth in a mile and a half fillies handicap, although like Very Dashing the day before, she rather looked ill at ease on the ground. There should be better to come from her on softer going. Aston House Stud’s Cutty Sark was somehow given a mark of 68 for her handicap debut and first start for us at Newmarket. Having previously finished down the field in maidens in Italy, she could only finish fifth of eight on her UK debut. We may try a mile and a half with her next time and she will also probably appreciate a bit of give in the ground. We should have plenty of runners this week including at York’s Ebor Festival which has been rather good to us down the years. We won the Listed EBF & Sir Henry Cecil Galtres Stakes eight times during the 1990s although we have not enjoyed the best of luck since (Koora was second in 2015) so we are hoping for better fortune with Michael and Michelle Morris’ Tiptree. She seemed to appreciate the step up to a mile and a half last time but she will need to improve again in what is always a competitive race of its type. The feature race on Thursday, however, is the Group 1 Darley Yorkshire Oaks in which we are doubly represented with Koora and Loving Things. Unfortunately, the forecast predicts sunny conditions, whereas rain would have helped both our fillies. With a number of high class fillies declared to run the challenge ahead is going to be a tough one, but both of ours go there in good form and are not without winning claims. We can forget Koora’s last race in Ireland, when she was not herself for whatever reason, and we know that this is her trip. 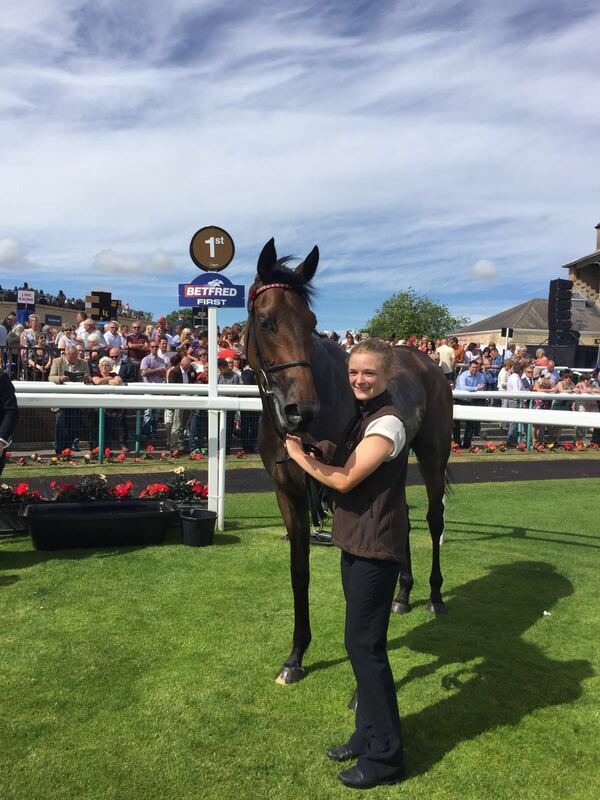 Banksea will probably run at the York on Friday, dropping back to a mile, and we hope he can get back to form. We could also run Shakopee (York), War Story and Blind Faith (both Sandown) on Friday; however, we unfortunately won’t have a runner in the Convivial Maiden at York, a race we have won for the last two years. It is also disappointing that we will be without a runner in Saturday’s Ebor, the most valuable Flat handicap in Europe, but the search to find next year’s winner has already begun and Saturday is still set to be an exciting day. Aside from Total Star in the Solario; we are also set to run Bermondsey (if he gets in to the race) and Laurence at Sandown, in each of the mile and a quarter handicaps, and Fallen For A Star is also entered for a mile and a quarter handicap at York.